Countries report every four years. Russia is to report on August 3 - 4. 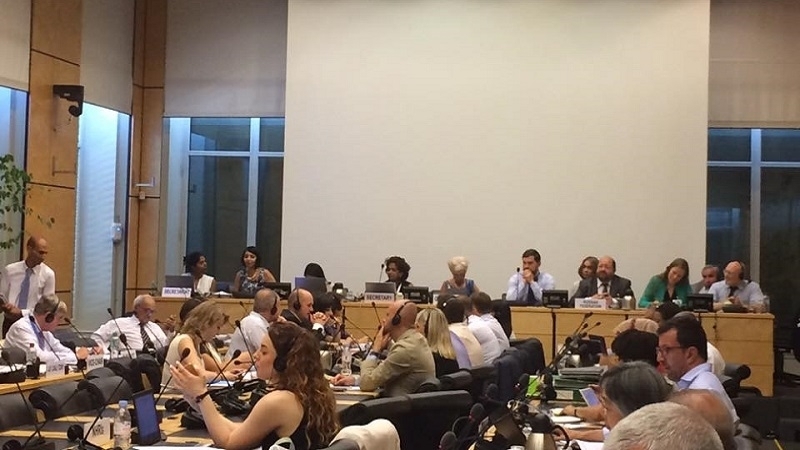 The session of the United Nations Committee on the Elimination of Racial Discrimination began in Geneva. The Head of the Crimean Human Rights Group Olga Skrypnik informed that the report of the Russian Federation on the implementation of its Convention on the Elimination of All Forms of Racial Discrimination will be reviewed within the event. “The official delegation of Russia is always large and, as usual, stating that Russia always complies with its international obligations. And then the Head of the delegation, of course, quotes Putin, probably Putin's quotations at the beginning - this is now part of the officials’ duties. Since Russia occupied the Crimea, it is now responsible for the observance of human rights and elimination of discrimination in the Crimea. But it is clear that Russia will not say about the real situation in Crimea,” she noted. Skrypnik reports that before the meeting, a member of the Russian delegation arranged the seats for the members of the Russian delegation and asked them to sit closer. "She told the Russian officials a rather characterizing phrase:" Yes, we do not like much, but we do it anyway," Skrypnik wrote. She also noted that the Head of the Russian delegation is currently talking about "the great achievements in the work of the Centers for Combating Extremism." Reference: August 3 – 4, the 93rd session of the Committee on the Elimination of Racial Discrimination in Geneva will review the official and alternative reports of the Russian Federation on the implementation of the rights of ethnic minorities living in the annexed Crimea, in particular Ukrainians and Crimean Tatars.